To cancel Hostfully's PMP, please go to "Agency Settings "> Then choose the tab "Account Status" > Then use the link "Cancel my subscription" (at the bottom). 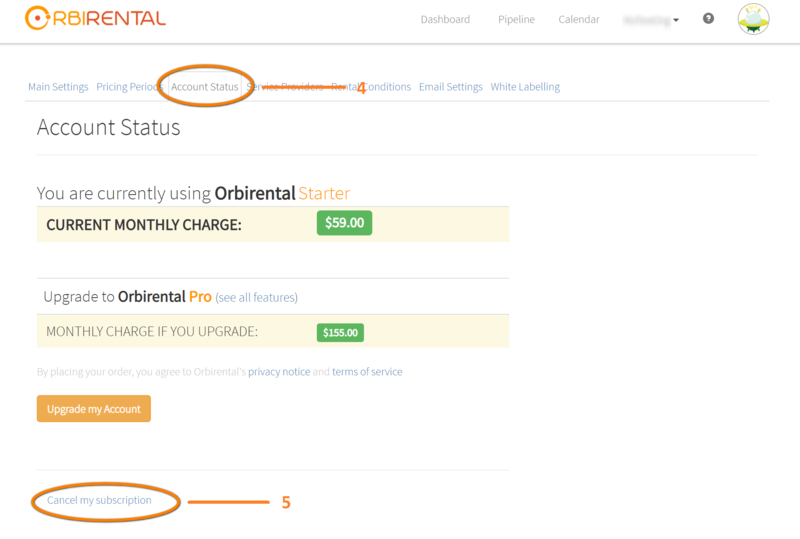 5- At the bottom of the page, click on Cancel my subscription (circled). 6- Fill out the cancellation form, submit it, and we'll make sure to stop charging you.